The objectives of this study is to evaluate the efficacy and safety of alogliptin versus very low fat/calorie traditional Japanese diet (non-inferiority trial) as an initial therapy for newly diagnosed, drug naïve subjects with type 2 diabetes (T2DM). Study design was prospective, randomized, non-double-blind, controlled trial. The study was conducted at outpatient units of municipal hospital. Patients were newly diagnosed, drug naïve patients who visited the outpatient units. The patients randomly received 12.5–25 mg/day alogliptin (n = 25) or severe low calorie traditional Japanese diet (n = 26). The procedure of this trial was assessed by the consolidated standards of reporting trials statement. The primary end point was the change of HbA1c at 3 months. 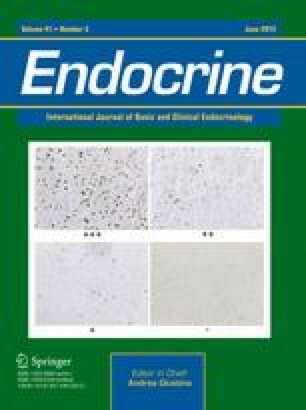 Secondary end points included the changes of fasting blood glucose, insulin, homeostasis model assessment-R (HOMA-R), HOMA-B, body mass index (BMI), and lipid parameters. Similar, significant reductions of HbA1c levels were observed in both groups (from 10.51 to 8.74% for alogliptin and from 10.01 to 8.39% for traditional Japanese diet) without any clinically significant adverse events. In the alogliptin group, some subjects (16%) had mild hypoglycemic evens which could be managed by taking glucose drinks by themselves. HOMA-B significantly increased in both groups with varying degrees, whereas HOMA-R significantly decreased only in the Japanese diet group. Atherogenic lipids, such as, total cholesterol, non-high density lipoprotein cholesterol, and low density lipoprotein cholesterol levels significantly decreased in both groups. BMI had no change in the alogliptin group, whereas it significantly decreased in the Japanese diet group. (1) Concerning its glycemic efficacy, alogliptin is effective and non-inferior to traditional Japanese diet as an initial therapeutic option for newly diagnosed T2DM. However, regarding the reductions of body weight and insulin resistance, traditional Japanese diet is superior. (2) Both alogliptin and traditional Japanese diet have favorable effects on atherogenic lipid profiles. Clinical Trail Registration: UMIN 000006860. The author thanks Drs. Jan Wajs, Gaku Miyakawa, Susumu Touchika, Sachiko Yokoyama, and Hiroshi Kawashima for discussions and Naoki Takeda for the advice of statistical analysis.